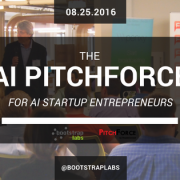 The annual BootstrapLabs Applied Artificial Intelligence Conference will take place on Wednesday May 25th in San Francisco. 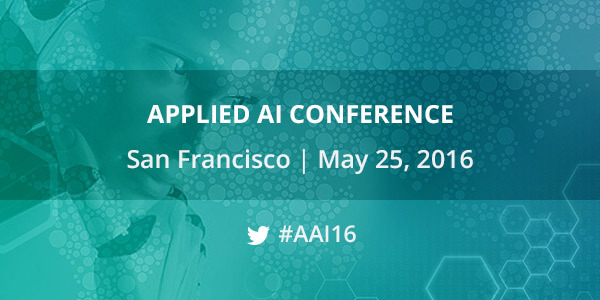 This year’s conference will focus on AI’s disruptive power and its impact on Society, the Enterprise, and People. The conference has a packed house of 400+ attendees and features 43 thought leaders in AI from companies like AirBnb, Accenture, Amazon, BMW, Facebook, IBM, NASA, Sentient, Singularity University, Stanford University, Uber and more. Why AI is changing everything? 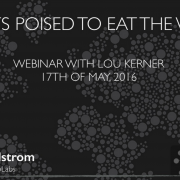 Artificial Intelligence is not new, but the underlying technologies have reached an inflection point. AI is entering a commercialization phase and every product and industry sector is being reimagined using an AI­ first approach. BootstrapLabs believes this will drive an accelerated pace of innovation in most industry verticals across the globe. 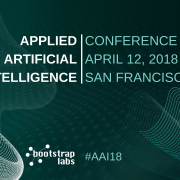 “We have entered the age of Applied AI, and as an investor at the forefront of this industry, we wanted to bring together our friends from Facebook, Uber, Amazon, IBM, Airbnb, NASA, BMW, Department of Homeland Security, Singularity University, Stanford, and so many others to join us for a special conversation on the s tate of things in Applied AI and where we are headed,,” said Nicolai Wadstrom, CEO of BootstrapLabs. 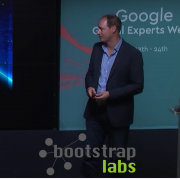 BootstrapLabs is a Silicon Valley based Venture Builder Company with a global outlook on innovation, combining Human Capital with Venture Capital to invest in Applied Artificial Intelligence startups leveraging Big Data. BootstrapLabs’ investment platform stands on three core pillars: Venture Capital, Human Capital, and a Community of founders, makers and thought leaders. Founded and operated by entrepreneurs, BootstrapLabs understands firsthand the needs and challenges of building a startup, and invests early in passionate founders who are building potentially disruptive technology companies with global potential. 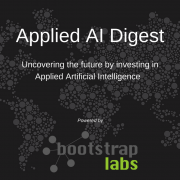 BootstrapLabs’ current seed fund invests in innovative and smart AI­powered software platforms that create significant value for their users in large, global markets. Key sectors of interest include Internet of Things, FinTech, Future of Work, Logistics, Security, eHealth, and others. Since its inception, BootstrapLabs has invested and worked with startups such as Prezi, Trusted Insight, AngelList, Aeye, and Zerply. How is AI changing the enterprise?